Mario Kart 8 is a blast. It's been well received critically, even in my own review, and it's earned a chorus of praise from gamers around the world so far. That even applies to the U.K., a region of the world that's shown a lot of distrust and dissatisfaction with the Wii U since its launch. 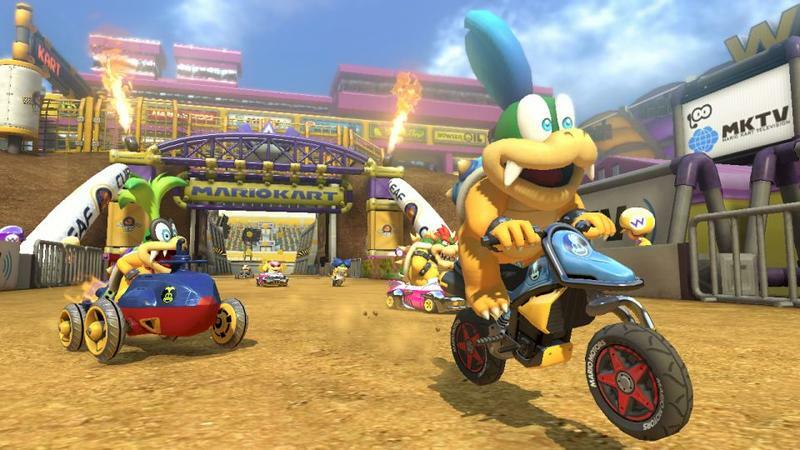 Mario Kart 8 released in the U.K. last week, and it brought with it a 666 percent surge in Wii U sales. 82 percent of those Wii Us sold came in the form of the special Mario Kart 8 bundle. According to Eurogamer, those stats make Mario Kart 8 the second best Mario Kart launch in the U.K. That's pretty darn good for a console that's done diddly since its release. I imagine the title will lead to better Wii U sales the world over. We'll have to wait and see exactly how much it will help, but the game certainly is wonderful enough to justify purchasing the Wii U for it and other grand titles. Have you picked up Mario Kart 8 yet? Don't forget to register it on Club Nintendo in order to score your free game.